Back Building 101 - Introduction! Everyone is guaranteed an 'A' as long as you can sit through the course and pay attention... This introduction will give details about anatomy of the back, different parts, exercises, and workouts. Get the details right here! A new course is available at Weik University on building a massive back. Those interested in sitting through an easy course, no need to look any further because class has just begun. Everyone is guaranteed an "A" for the course as long as you sit through the course and pay attention (you can take notes if you wish). From there, all you have to do is take what you learned from the course and utilize it in the gym for massive back gains. Let&apos;s start off by explaining the anatomy of the back. It&apos;s not very complicated and not much to it. Once you understand how the back works, you will find it easier to visualize your back workouts. Another powerful muscle of the back is the trapezius. The traps run all the way down the upper section of the spinal cord and attaches at the middle of your back. The traps have a couple main functions including scapular adduction (bringing the shoulder blades together), scapular depression (pulling the shoulder blades down), and scapular elevation (shrugging). There are also some smaller muscles that aid in movement of the back such as the teres major and the rhomboids. The teres major is found at the outside edge of the shoulder blade and attaches all the way up at the humerus. The main role of the teres major is to bring the arm towards your back. There are also a whole bunch of little muscles in the back, which run along your spine. There is the erector spinae, which includes the longissimus, spinalis, and the iliocostalis. The erector spinae is a group of muscles that are in and support the spine as well as extend the spine. The erector spinae muscles are actually attached to the vertebrae, pelvis, and also to the ribs. Different exercises hit different parts of the back. For instance, doing wide grip pulldowns targets the outer back while doing close grip rows targets the middle of the back. It&apos;s important to hit all parts of the back to create overall back development. The last thing you want is imbalances with your back muscles. To create a nice V-taper you need overall development. 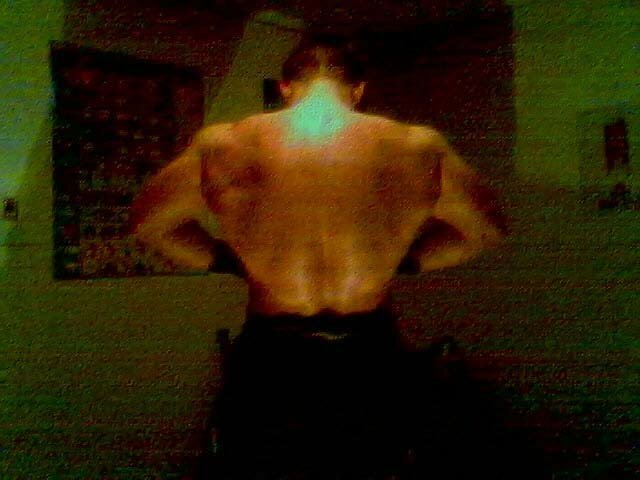 By creating a fully developed back, you can still have a waist larger than you want and still look like you have a massive upper body. Hitting the lats will help widen your back while hitting the middle of your back help pull out details. Bodybuilding is all about muscular development and creating an illusion that makes you look larger than you really are. 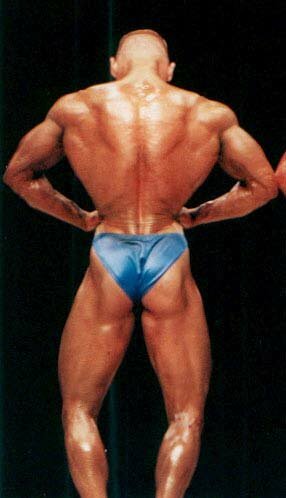 Look at any successful bodybuilder and you will see a well-developed back. Huge slabs of muscle popping out from every nook and cranny of their back. That is the look you want to achieve. When it comes down to it you want to focus on the mind-muscle connection. You should really feel each rep and feel the muscle working. If you don&apos;t feel an exercise in your back, then you are probably doing it wrong or are using a weight that you can&apos;t handle and are using more than just your back.